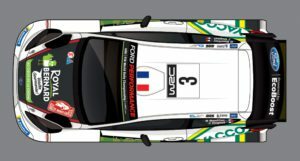 Bryan Bouffier will take to the wheel of the third EcoBopowered Ford Fiesta WRC for two rounds of the 2018 FIA World Rally Championship. He will drive in Rallye Monte Carlo and the Tour de Corse with the M-Sport Ford World Rally Team. The Frenchman has strong knowledge of both events. His unrivalled experience will provide a significant asset on what are considered two of the championship’s most specialised rallies. Having contested the Monegasque event for the past eight years, and the Corsican event for the past seven, Bouffier’s knowledge is unequalled. 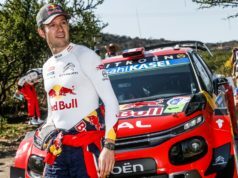 As a past winner of both rallies, the Frenchman has expertise when it comes to understanding the challenging conditions that have come to typify the two legendary events. Whilst contesting the Intercontinental Rally Challenge in 2011, Bouffier secured something every driver wants to achieve – a Rallye Monte-Carlo victory. 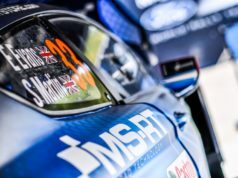 Three years later as part of the FIA World Rally Championship, he came close to a second victory – mastering the elements to take an early lead with his Fiesta before having to settle for second place behind Ogier. In 2013, he also mastered the Tour de Corse as part of the FIA European Rally Championship. Locked in an intense battle for the win, the tricky final day conditions saw Bouffier pull clear with a proficient approach to tyre strategy. All of these elements will make the Frenchman a strong addition to the team when the Cumbrian squad start their title defence in just over two weeks’ time.